Singers from all over the country combine to spend the day working with world-renown conductor, Malcolm Archer (former Director of Music at Saint Paul’s, London and Wells Cathedral). The festival culminates in a beautiful evensong that features a setting of the Magnificat and Nunc dimittis composed by Mr. Archer. 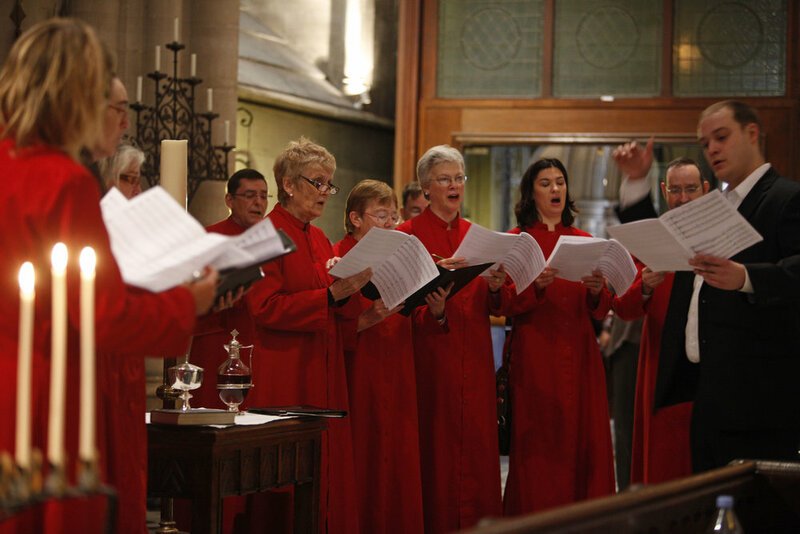 Saturday 21 October, 4:30pm, American Cathedral in Paris, 23 Avenue George V.
RSCM France is the French branch of the Royal School of Church Music, dedicated to promoting church music in all styles of worship. We are delighted to have as our Musical Director the eminent choir trainer and organist Malcolm Archer, one of the world’s leading church musicians, who has enjoyed a distinguished career in cathedral music, which has taken him to posts at Norwich, Bristol, Wells Cathedrals and then Director of Music at St. Paul’s Cathedral in London. He is now Director of Chapel Music at Winchester College, where he is responsible for the College’s ancient choral foundation; conducting the Chapel Choir and teaching the organ. During his time at St. Paul’s Cathedral he directed the choir for several State services, including the Tsunami Memorial Service, the London Bombings Service and the 80th birthday Service for HM The Queen, for which he was invited by Buckingham Palace to compose a special anthem, performed live on BBC 1.